In addition to being an influential brand ambassador, Ashley and her team have introduced us to valuable strategic partners, and implemented an effective PR strategy since our launch. Ashley understands our business goals, and brings incredible creativity, style & business instincts to the table. WICK AND Co. was essential to the success of our recent fundraising event in San Francisco. Ashley brought structure, fiscal oversight, creativity, enthusiasm and endless contacts into the planning process. She knew exactly what we needed and when. She developed a strategic PR plan and over-delivered on the press and media attention that we were seeking. We look forward to working with Ashley again and couldn’t imagine doing a similar event without her involvement. What started as a 3-month project turned into a long-term partnership where WICK AND Co. not only delivered on the media relationships, but she also enabled marketing alliances with lifestyle brands across the US and was instrumental in launching the brand successfully in Canada. Ashley has a clear understanding of how integrated marketing works for a multi-faceted brand like ours – I wholeheartedly recommend her to anyone looking for a self-starter to fly their brand’s flag. When we’re lucky, the stars align and we’re blessed with an amazing professional partnership that is both productive and inspiring. Ashley has brought communications savvy, poise and polish, and a sense of style and spirit to our work on Chance. Not only does she understand our business objectives and work with focus to achieve them, she has an intuitive sense of the brand’s unique ethos, which is essential to our creatively-driven approach to marketing and growth. NEW TALENT IS ALWAYS WELCOME. Founded by Ashley Wick in 2010, WICK AND Co. provides leadership coaching, public relations and brand strategy services to clients in the fashion and lifestyle industries. 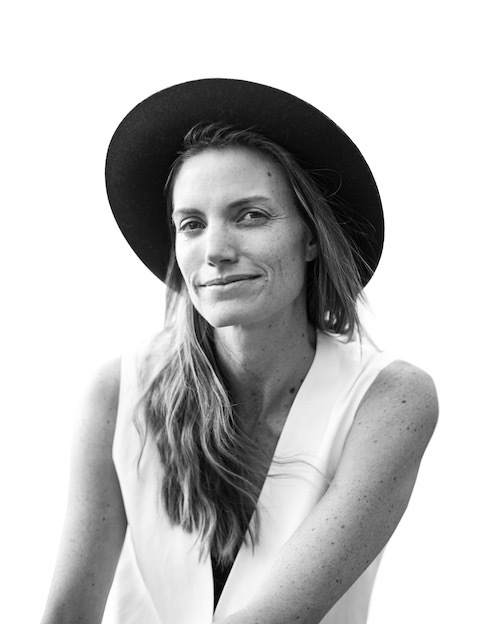 Ashley is a certified and accredited coach through CTI and has spent over 15 years working for globally recognized brands including Vogue, Diane von Furstenberg, Anya Hindmarch and IMG. In life and business, understanding who you are is critical to communicating effectively. Everyone talks about essence and purpose but for some, discovering those things is difficult. And even once discovered, effectively communicating them can be challenging. We are committed to helping clients develop the self-awareness and leadership skills needed to find greater meaning in their personal and professional life. Why? Because people who understand their core beliefs and can effectively communicate them, make happier, more successful individuals, business leaders, partners, and community members. We believe that people make a company successful, and that internal communication is as impactful as external. At WICK AND Co., we nurture people and their businesses, and in the process, launch leaders and brands. We partner with you in a creative process to distill what's most important and help you align your personal and professional life accordingly. We guide you to create and achieve specific goals to build a more fulfilling future. We motivate you, challenge you and hold you accountable. We connect your vision, values and business objectives with powerful story-telling. We hone your image and messaging, guide conversations, and execute strategies that generate brand equity and amplify awareness. Services include: Brand positioning, Creative ideation, Communications strategy, Media relations.